Discussion in 'EthConGateway by Joshua 1 Systems' started by johnson8ryley, Jan 22, 2013. I've hit a brick wall of knowledge and hope you guys can fill me with the patches of information I do not have. 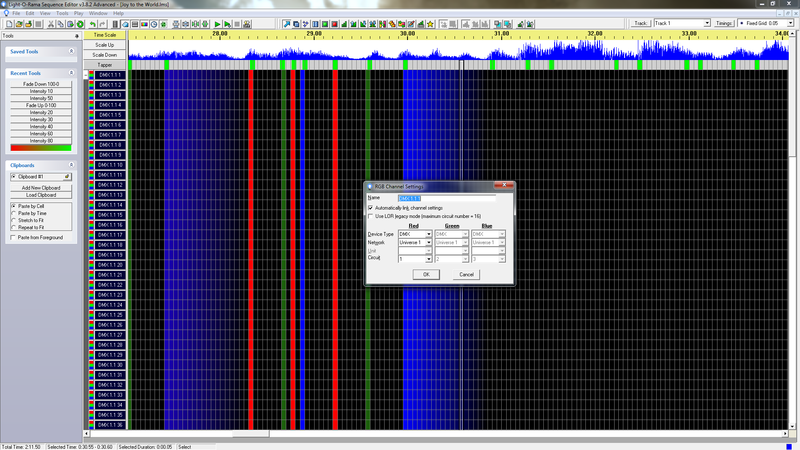 I have the LOR Network Preferences set for the 1st and only universe to use E1.31 multicast. I'm not sure what to do from here. I'm trying to play a test sequence I have programmed for the 2811 strings but I feel like I'm either missing something or have set up something wrong. Anything I haven't mentioned in this thread, I haven't done so I may have missed a critical step for all I know. 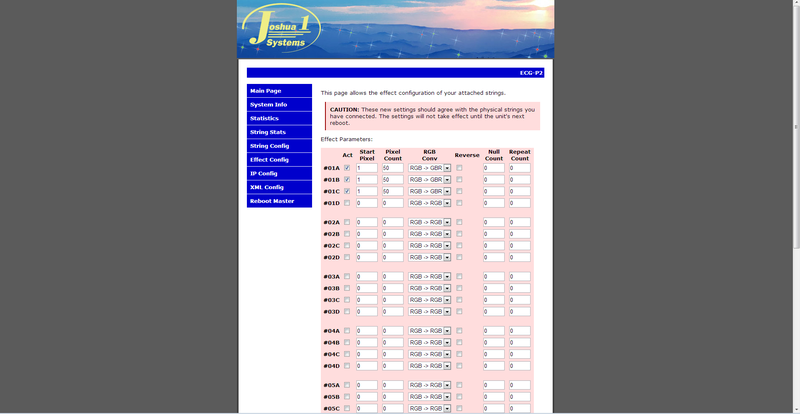 Below are pictures of everything from J1SYS internet interface to LOR sequencer. 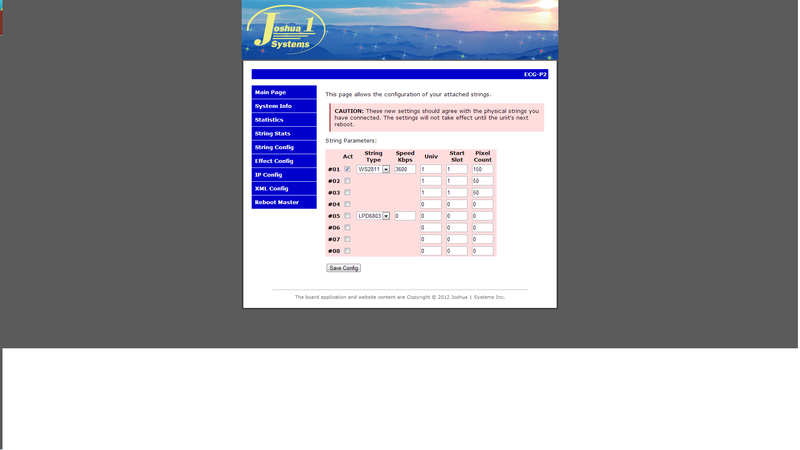 Load the control pannel and re try. 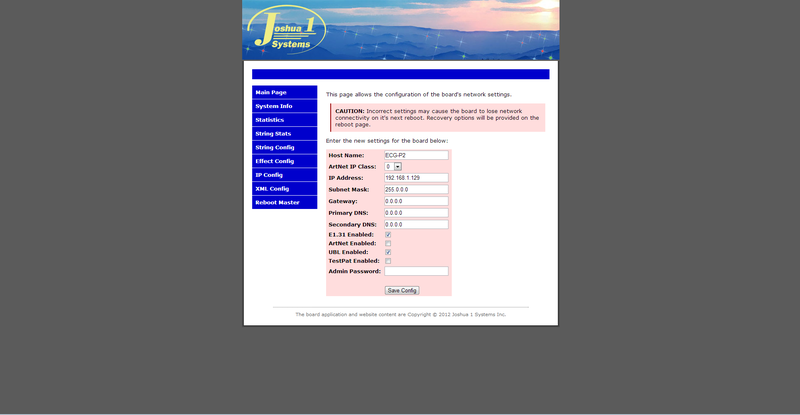 Ensure the conrol panel is loaded and shows are disabled. Also make certain control lights is checked in the sequencer. Lastly hook up your usb485 to a usb port. There are steps you can take to not need the usb485 hooked up but honestly its just as easy to plug it up and let it hang there. Let us know. You guys should be aware that I edited my original post to say that my computer and P2 are hooked up to a network switch/secondary router in case that makes any difference. LOR control panel is running and is set to control lights. As for the USB 485 adapter, I'm a bit confused as to what you want me to do. You literally want me to just hook it up and let it hang there? Just checking. yup just plug it up and let it hang there. If you have ever setup lor to output from it in the past it will look for it before allowing playback. You can change this but like I said its just as easy to plug it up. Doesnt need to be hooked to anything just plugged into usb. Wow, I can't believe that actually made it work! LOR popped up a cmd prompt window entitled LORCommListener and sure enough, it actually played it to my pixels! What an easy fix and it makes sense that it would only work with that dongle plugged in. I'm content with just leaving it how it is considering I have 4 LOR boxes that will need the dongle plugged in when my show runs. Thanks for the help guys! Unfortunately, it looks like my Red is playing blue and my blue is playing Green but that might just be my P2 settings. Right on! Glad it worked for ya. I try not to tell folks the work around for removing the LOR dongle from the network settings because just like in your case you may want to use it to output LOR with it latter. So best practice IMHO is just to let it hang there. While this wasn't my original problem, a new problem has been discovered. After getting the right setting in the P2 as to what RGB should be, my first pixel is repeating the same output to the rest of the pixels. I think this is again a simple P2 configuration fix but this time I'm not sure what to change. Andy, I should mention that I appreciated your videos you recently put up of setting up your P2. I would've been lost without them so thanks a bunch! Nevermind, I figured out that I should've only had the first check mark box checked and instead of 50 pixels, I needed 150 pixels which would include all 3 strings. I thought you needed to check 3 boxes, 1 for each pixel. Thanks everyone for the quick fix. I've finally gotten my strings working! And you fixed it faster than I could type. Thats awesome! Glad the videos helped you out. i am at a similar problem i got test pattern working and all the lor settings the same as the pics from freebird. i cant get lor to control lights. everytime i hit play it unchecks itself. i think its because i dont have the usb 485 plugged in. my only problem is i dont have it with me and am not able to get it right now but would like to still play with ym new rgb sequences. i searched and couldnt find a link to make lor control light without usb dongle. is there a post im missing? 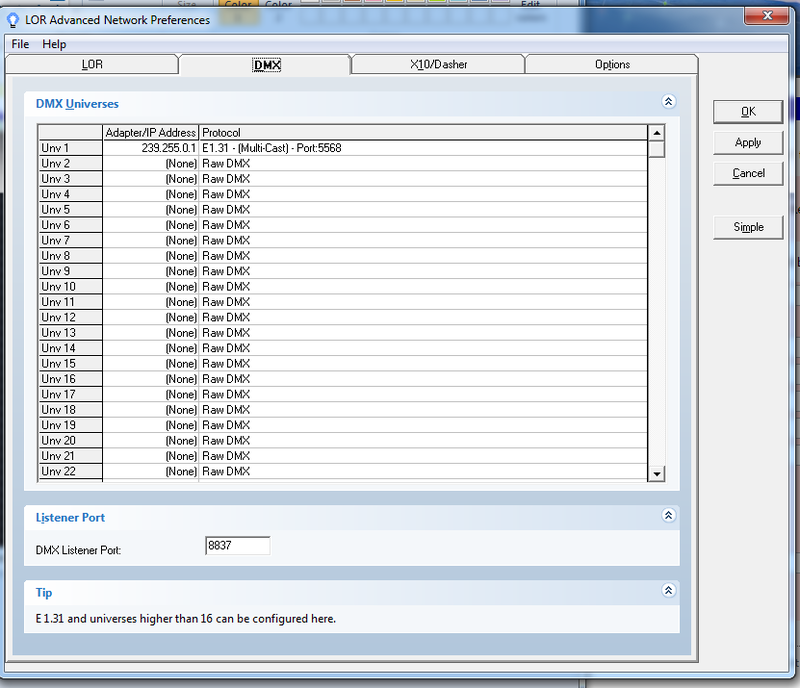 In s3 go to edit/preferences/network preferences click on the LOR tab and set port to none. But try what Doug said first.